Recomiendo la lectura de este artículo aparecido este viernes en The Christian Post, en dónde se entrevista a Michael Donnelly, director de relaciones internacionales de la HSLDA, quien estuvo recientemente en la Conferencia Europea de familias que educan en casa, lo que le permitió tomar contacto con más cercanía con los problemas a los que nos enfrentamos los homeschoolers en España, llegando a conocer a la familia González, a la que como sabeis han retirado los cargos por educar en casa a uno de sus hijos. 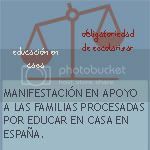 En la entrevista nos cuenta cómo la HSLDA apoyó a la familia en la recogida de cartas de apoyo y con el envío un escrito que ya han utilizado en otros casos, en los que se explica la eficacia educativa de la enseñanza en familia y que es una opción educativa con todos los derechos. 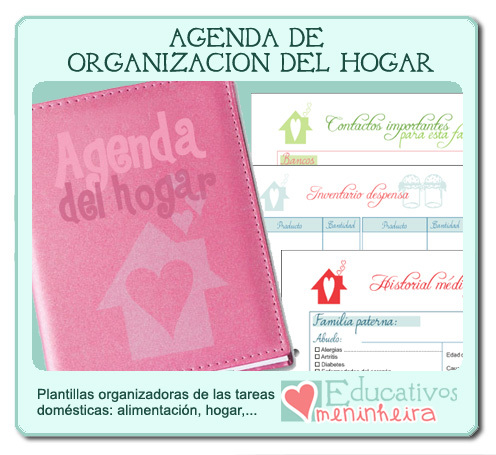 También en ella redunda en el artículo que reseñábamos el otro día "Homeschooling Situation Becoming Urgent". Entresaco e intento traducir el párrafo que a mi me parece más importante. Recuerda que si tienes problemas para leer en inglés, puedes utilizar el Google Translator: http://translate.google.com para leerlo en tu lengua. La HSLDA dice que el clima legal en España, una nación con una población de alrededor de 40 millones de personas, ha pasado de ser indiferente hacia la educación en familia, a ser activamente hostil contra ella. La asociación dice que un "número sin precedentes de conflictos jurídicos" sobre el tema han aparecido recientemente entre las autoridades locales y las familias que enseñan en casa. "Estamos frente a una situación de urgencia", dijo Daragh McInerney, presidente de La Asociación Para La Libre Educación (ALE), en la conferencia a la que asistió Donnelly. A judge in southern Spain recently dropped charges against a homeschooling family, relieving the family's fears that they might have to send their son back to public school. The Home School Legal Defense Association (HSLDA), a Purcellville, Va.-based organization that seeks to preserve parents' right to homeschool their children, helped the Gonzalez family with the case by providing a petition and a brief that they say had a major impact on the case's presiding judge. "The least likely outcome was that the judge would rule in their favor immediately," said Michael Donnelly, director of International Relations for the HSLDA, during an interview with The Christian Post on Friday. The other possibilities were that the judge would rule against them, or that she would simply “sit on” the case for a while, possibly even for a few months. "We were very pleased,” Donnelly said of the swift result in their favor, which came down on Monday, just a few days after a Sept. 9 court hearing. On a recent trip to Spain to speak at a national homeschooling conference, Donnelly says that he had the opportunity to meet with the Gonzalez family in person. They are not typical homeschoolers, he says, because their daughter attends a public school while their 12-year-old son, Evan, stays at home because of problems he previously ran into while in the public school system. 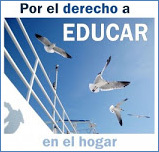 The HSLDA says that the legal climate in Spain, a nation with a population of about 40 million people, has gone from being indifferent toward homeschooling to actively hostile toward it. The association says that an “unprecedented number of legal disputes” over the issue have popped up recently between local officials and homeschooling families. “We're facing an urgent situation,” said Daragh McInerney, president of La Asociación para la Libre Educación (ALE), at the conference attended by Donnelly. 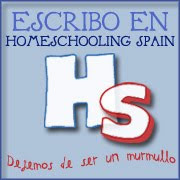 “There are at least 25 families in Spain, that I am personally aware of, who are facing difficulties with the authorities over homeschooling,” he told the HSLDA. 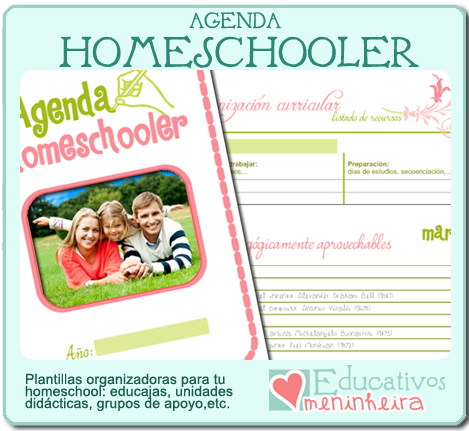 The ALE is the largest homeschooling association in the European nation. McInerney estimates there to be about 2,000 families that homeschool their children in Spain today. Evan Gonzalez had only been homeschooled for one year before government prosecutors filed civil charges against the family. “They're just normal people trying to do what's best for their child, and it was really heartbreaking for me to see the pain that they were going through with this court case,” Donnelly said. In just three days the HSLDA was able to accumulate 1,200 signatures on a petition supporting the Gonzalez family, and homeschooling in general, which was submitted to the judge. They also submitted a brief that had been used in other U.S. and international homeschooling cases, which explains the effectiveness of a homeschool education and also shows that homeschooling is a human right. 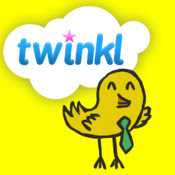 Although there is always the possibility that, in a country that appears to be growing increasingly hostile toward the idea of homeschooling, another case could be brought up against the Gonzalez family, it is not likely. This case's dismissal leads Donnelly to believe that prosecutors will think twice before bringing up any similar charges.